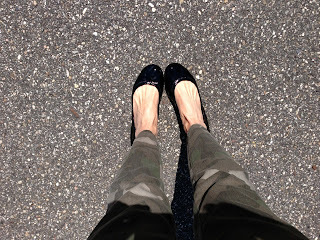 Flats: Edie Tory Burch Pants: Zara (last year) similar here, Sweatshirt: Kate Spade (last year) similar at Old Navy. Denim Jacket: Ann Taylor ( super old) Similar J. Crew Factory and 25% off with code HELLOMAY. Necklace: Chanel Sunglasses: Marc by Marc Jacobs . 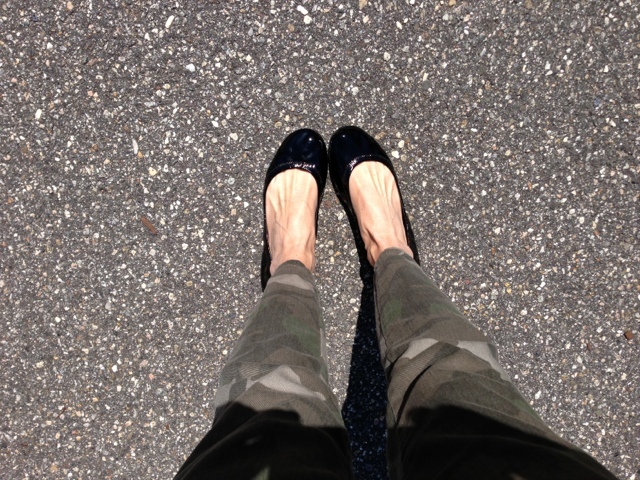 I have been getting a lot of wear out of these camouflage skinnies. They have stretch so are great to wear out with the kiddos as they also hide stains. slide right down behind the kids on the jungle gym and don't even worry that you just slid your bottom through a mud puddle! How are you wearing camo this spring? You look cute. 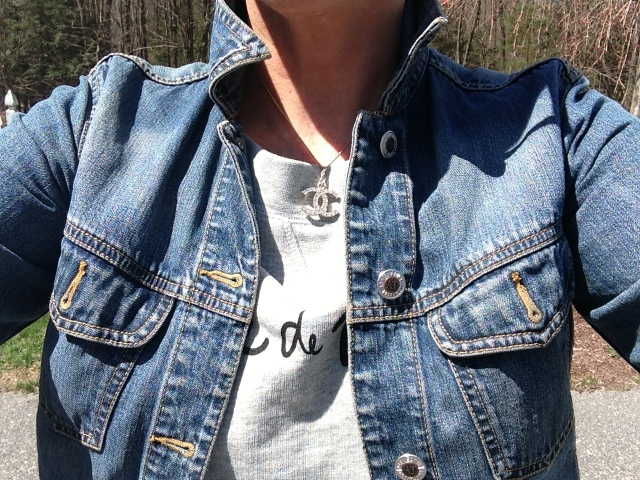 Love the denim jacket with it. I never thought about wearing them to the park with the kiddos. Not a bad idea! Thanks, and I love your blog! So cool that you are a mom of two and still so chic!